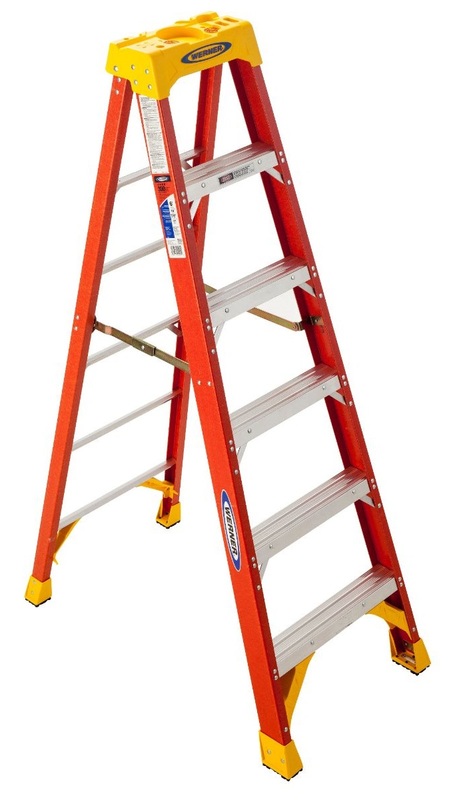 The 6206 Fiberglass 6ft Step Ladder is ideal for the homeowner or the professional. With a duty rating of 300lb, it features a HolsterTop® with the Lock-In System to secure tools from falling while keeping them right at hand. The ladder offers a full set of rear horizontals and heavy duty internal spreaders. All steps are knee braced and the foot pads are riveted to the EDGE® structure. The EDGE bracing system helps protect the rail from damage. Each TRACTION-TRED® step is slip resistant and double riveted. Fiberglass rails are non-conductive for working near electricity.